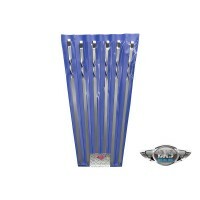 For shipping - Call to estimate. 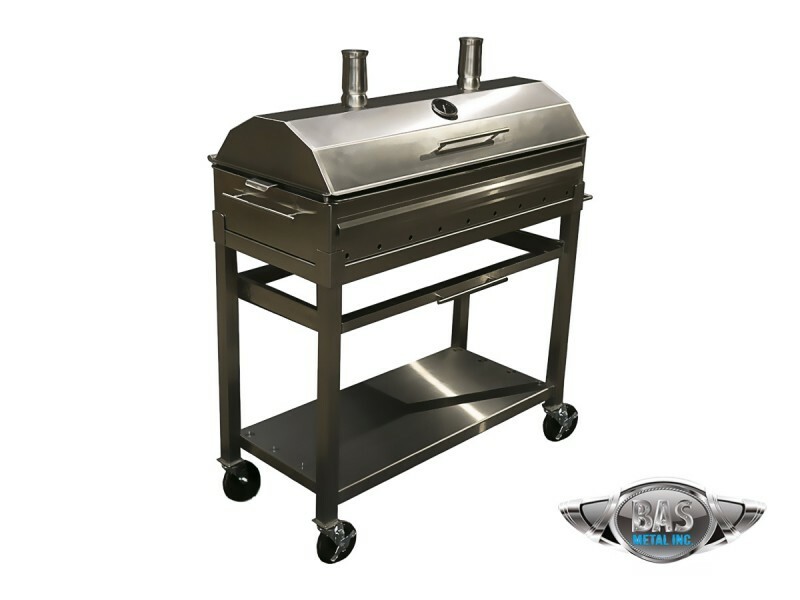 Hinged Lid: Full Size Cover Lid on Hinges , Includes 3" Temperature gauge, Handle Bar in front, 2 chimney pipes for air circulation. 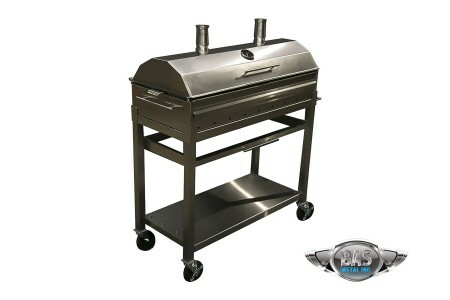 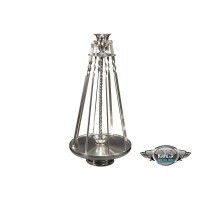 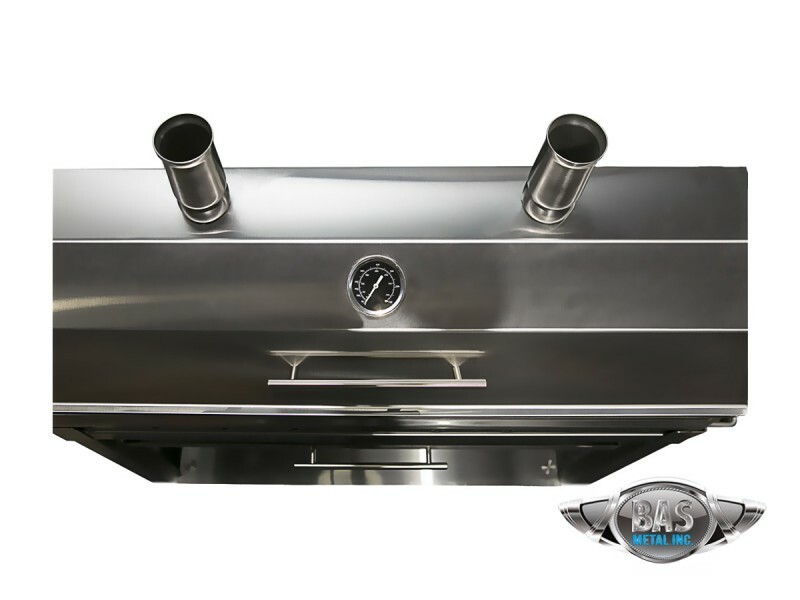 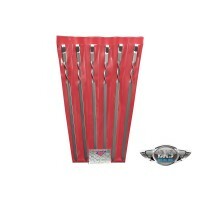 Hinged Cover lid is designed to allow the Skewers to lay on grill surface with lid to be fully opened and closed. 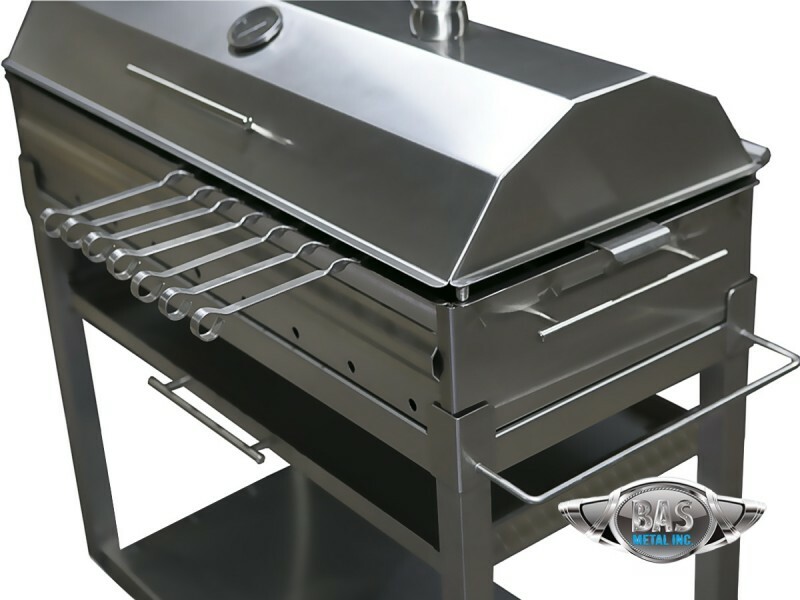 COOKING SURFACE 576 Square Inches of grilling Surface 2 Pcs heavy duty Grates included, solid 5/16" Stainless Steel 304 bars. 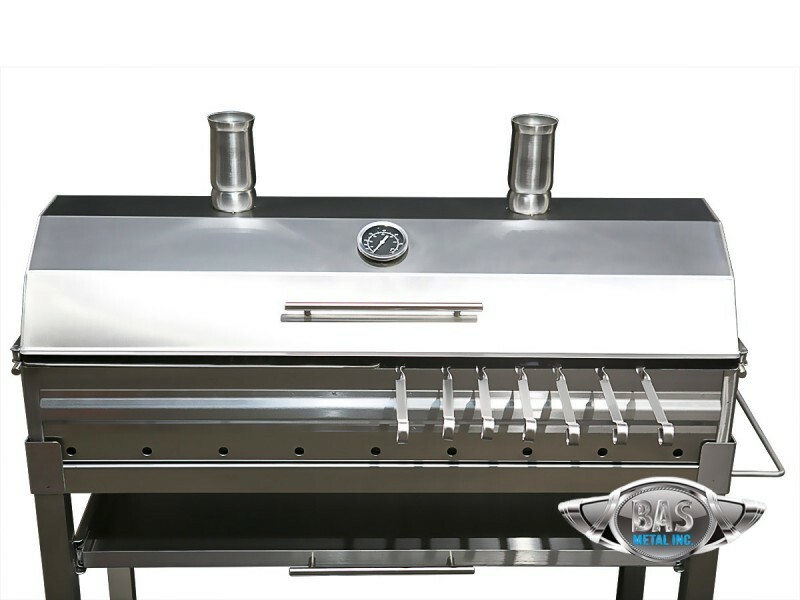 Stainless Steel, reinforced with Belt Channel for extra rigidity. 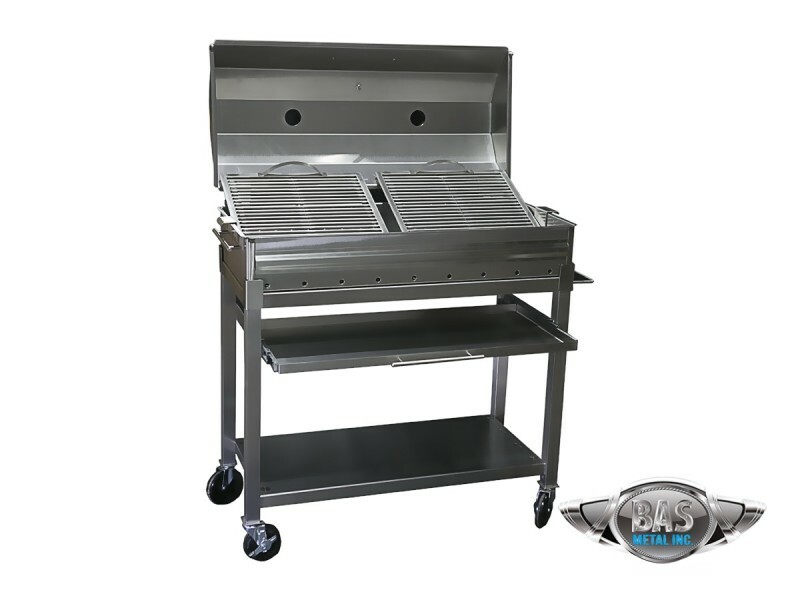 GRILL CART Full Stainless Steel construction on 4" casters, Lower fixed shelve and Pull out drawer shelve for your convenience. 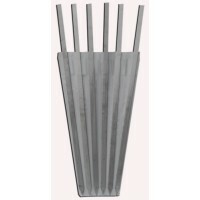 Side tool hanging bar. 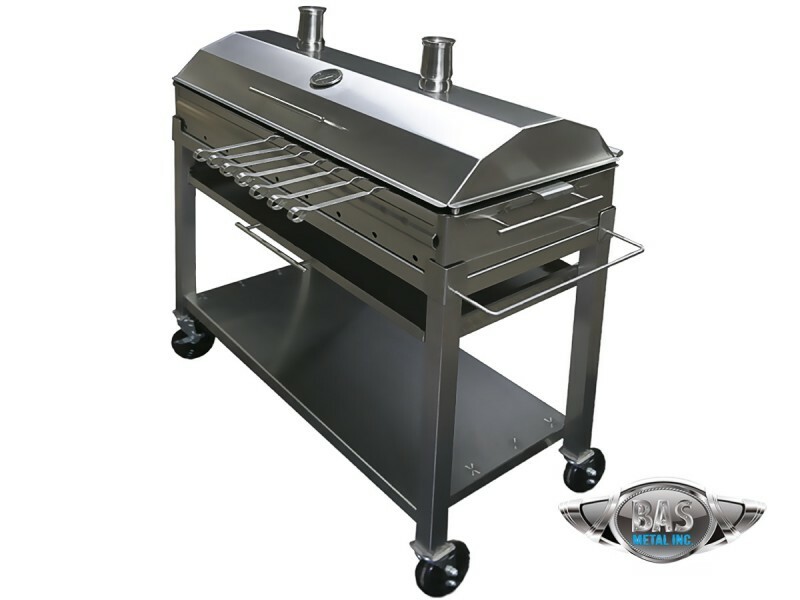 with handles for extra strength and easy ash dump. 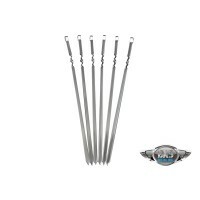 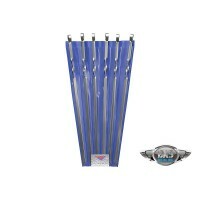 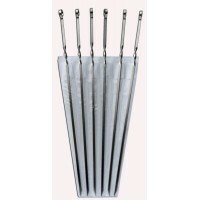 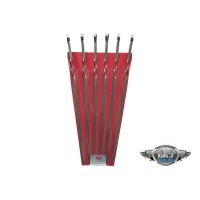 (Free : 28" G295 skewers 20pcs) with purchase.